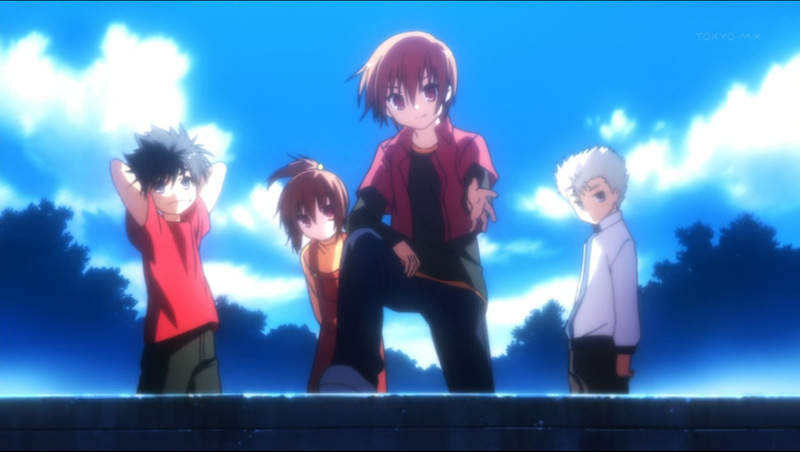 “Little Busters!” Starts with a mysterious young man coming out from a forest in the middle of the night. He then smiles when he sees an expanding view of a town before him. A moment later in the morning, we hear someone’s shouting “Kyousuke’s back”, and the whole school seems to be in an uproar and excited. It turned out that the person who just got back, Kyousuke, is somewhat very famous throughout the school and also happens to be the leader of his childhood group. Kyousuke was out looking for a job because he’s a third year and is about to graduate soon. They’ve been together since they were little and used to be a team of evil-fighting, allies of justice turned sometimes trouble-makers around the neighborhood. All the members are now in high school, and learning that they’ll go their own ways after graduation depresses them. Coming to the rescue is the most normal, plain cast among them, Riki, who proposes they do something together for one last time. 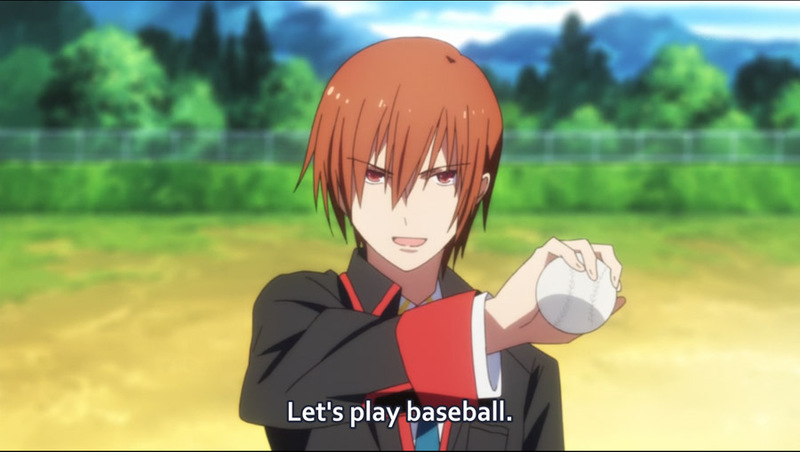 Kyousuke follows up by suggesting them play baseball together. Thus, all of a sudden the gang becomes a baseball team. However, since the childhood group only consists of five people, they need to recruit another four to meet the minimum requirements for a baseball team. 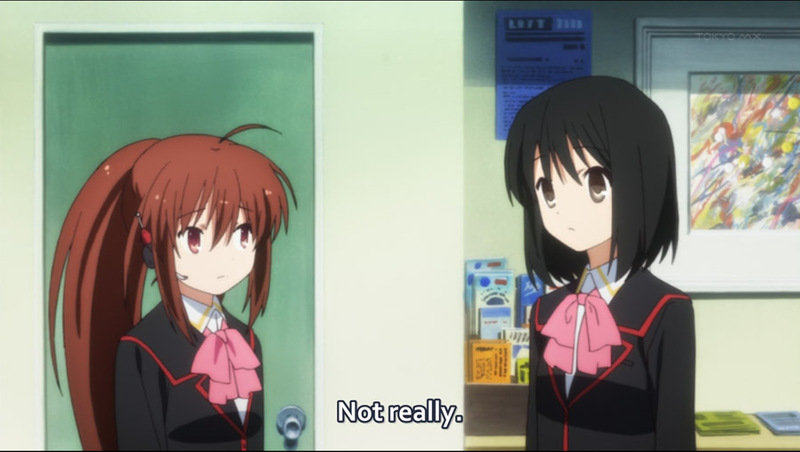 Coming from Key, whose works “Kanon”, “Air”, and “Clannad” had successfully forced audiences to cry buckets and get thoroughly heartbroken, “Little Busters!” is surprising in more than one way. First of all, there’re four male characters, something that is absent in many other previous Key series. It’s not that important of a change, but it’s quite refreshing to see the male cast match up to that of female. Second, in this brand new series Key tries to offer a charming, funny little distraction with amusing characters. Basically it tries to be chiefly a comedy show. However, whether the joke is delivered intact or shattered into pieces before it reached the viewers is a whole different issue. The daily routines and interactions among the casts are what later resulting in jokes or punch lines cracked. 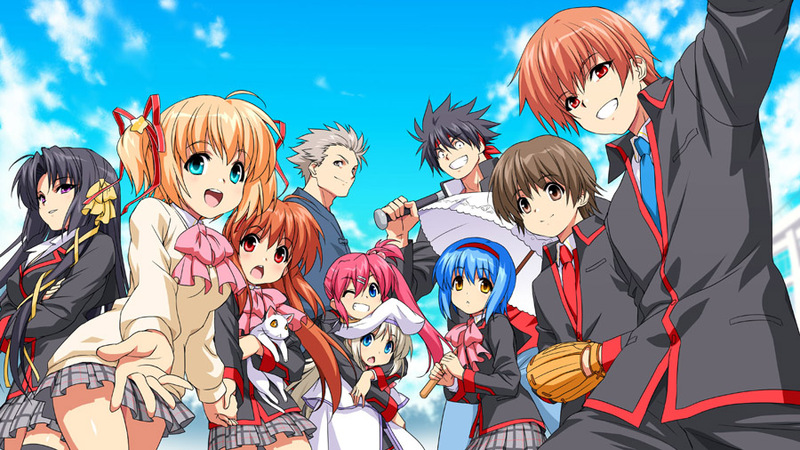 The childhood gang is comprised of mild-mannered orphan Riki, muscle bound brawler Masato, reserved kendo-ka (people who use bamboo swords in its club activity) Kengo, Rin, an ill-tempered girl with fists of fury that is also the school idol, and their leader, the famous weirdo Kyousuke. Although there is a spectrum of fetishistic colorfulness, most of its main characters seem pretty standard cut-and-paste personalities and are not that interesting. Riki as well is a blank slate harem lead so far. The purported comedy tastes bland because most of the gags feel more like a miss than a hit, and there’s plenty of generic anime comedy crap in here it’s annoying. There is a funny moment, especially when Masato and Kengo have to fight using anything thrown at them. 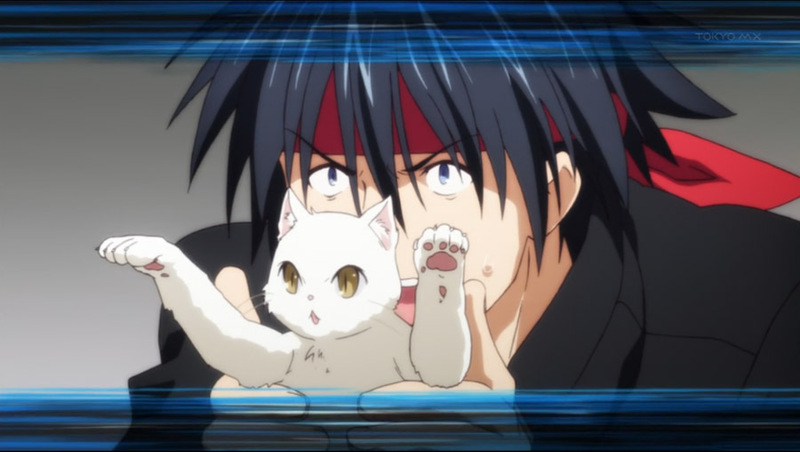 Masato ends up having to fight using a cat and Kengo gets a water pistol. That’s not all, as in the second round against Rin Masato has to fight using an eel-pie while his opponent gets a three-section staff. Other than that particular scene, though, with average background music (except the piano part) and fair animation quality, Key has to work really hard to pull itself together and make the trifle that Little Buster is to function as a pretty good one.